What Are Some Of The Signs Of Heat Strokes Involving Kids That Have Been Exposed To Prolonged Heat And High Temperatures At A Daycare Facility? You want to make sure that the daycare providers, meaning the teachers themselves, have CPR training specifically in heat strokes if they're going to be working at a Texas daycare facility. When parents are choosing daycare's for their child, it is easy to overlook a lot of things and certain questions are not asked. Choosing the right daycare should be no different from choosing a new house or new car. It is not likely that one will just pick any house or car without doing extensive research and making sure that everything is completely right first. Children are the most precious things in this world and they depend on adults to look after them and care for them. Many parents can give their children a better chance to stay out of harms way by simply doing due diligence and choosing wisely. For most parts of the year, we have high temperatures in Texas, especially in the summer. And if the daycare staff are not looking out for the symptoms of heatstroke in children, it can be alarming, and potentially even fatal, if not caught in time. Children are always at risk when exposed to these conditions and must be monitored correctly. 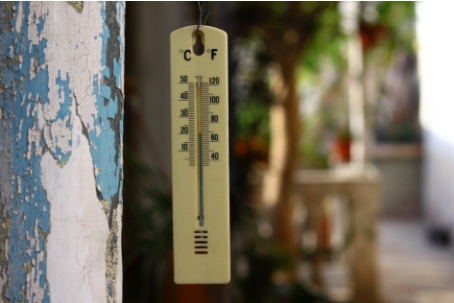 How Can Heat Strokes In Children Be Avoided While At Daycare? The daycare facility should pay close attention to the amount of time children are playing outside when temperatures are high, as children’s small bodies will reach a high temperature in a shorter time. The children will be so focused on playing with their friends that they may not even realize something is wrong. These are things that the daycare centers should already know, and they should already have a plan in the event that the weather is extremely hot. This is why it’s vitally important for the teachers looking after your children to know the signs of heatstroke. Paying attention to the children is going to make the difference in the child being injured due to the daycare’s negligence. The simple things play a huge role in determining the safety and well being of a child. There have been way to many incidents of children having heat strokes due to the negligence of daycare teachers and unfortunately the numbers a constantly rising. This is a serious issue that need not be overlooked. There are things that parents can do to help assist the daycare centers and give their child a better chance of not having to deal with heat stoke. Parents can remind teachers of the weather upon arriving to the daycare with their child and ask that their child does not be outside longer than usual and that the child stays properly hydrated. The little things makes a huge difference and can be the difference between life and death. It is is to go about your day to day and go back and fro from work, that it is easy to lose track of what we are missing at these daycare centers. If you want to read more precautions a daycare can take to prevent heat stroke, simply follow the link. What Can The Button Law Firm Do To Help With Your Child's Heat Stroke Injury At Daycare? Do you need more information about daycare safety? Give us a call at 214-888-2216 or fill out our Contact Us form. 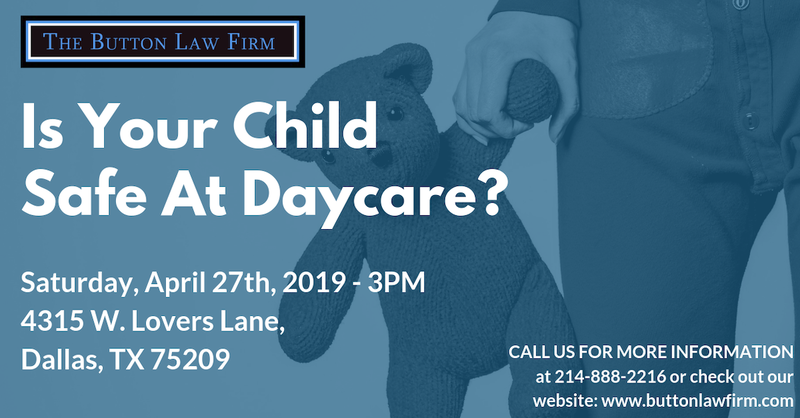 We want to make sure that you not only send your child to a safe daycare, but if something happens, you know what to do, who to call, and make great decisions for your family. We are here to create safer daycare's one step at a time.